The club has an upstairs room (50 square metres) available for booking. The room has a seating capacity of around 30 to 40. 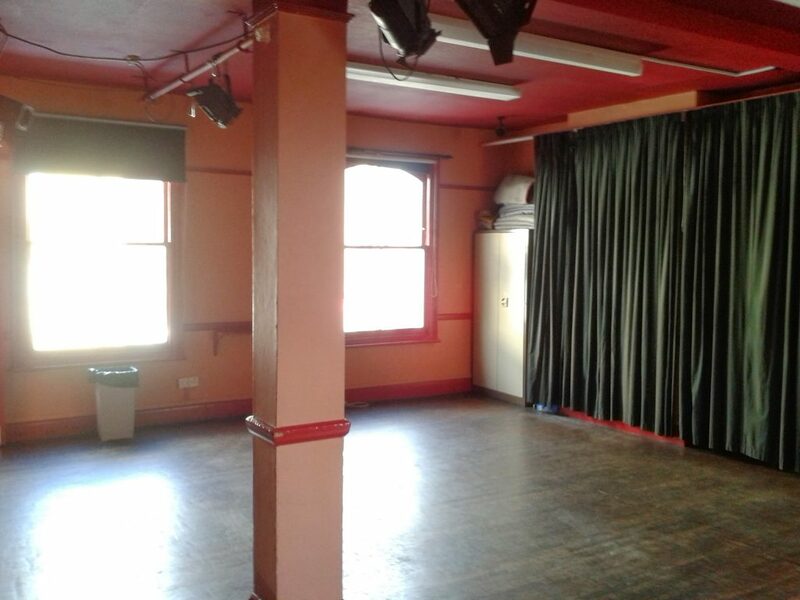 The room can be used for meetings, rehearsal space, theatre, performance and comedy. People using the room in the evening are able to use the bar facilities. It has a small annex with a sink. There are separate toilets on the stairs landing. As well as for meetings, we can host Theatre Groups and similar productions, which are usually without a hire charge, but on a shared door take basis. In general, rehearsals have to be paid for, but we will consider any proposals. To book the room, phone the club after 7.00pm (020 8992 4557), preferably in the early evening. You could also email the bookings officer here.